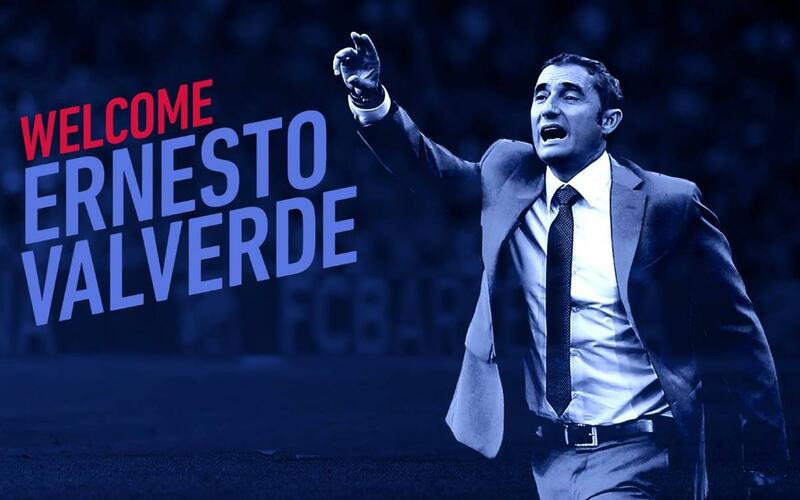 Ernesto Valverde is the new FC Barcelona coach. The 53 year old former Barça player was previously Athletic Club Bilbao coach and he will take over for the 2017/18 season. Valverde will be presented on Thursday as FC Barcelona coach along with his assistant Jon Aspiazu and former blaugrana José Antonio Pozanco who will be the fitness coach. This will be Ernesto Valverde’s second spell at the Club, his first coming as a player between 1988 and 1990. The new Barça coach won the European Cup Winners’ Cup and the Copa del Rey in his two seasons as part of Johan Cruyff’s squad, playing 29 games and scoring 10 goals in official competition. As a coach Valverde has a wealth of experience in Spain and abroad. He has had two spells as coach at both Athletic Club Bilbao and Greek team Olympiacos as well as having coached at Espanyol, Villarreal and Valencia. In his career he has helped his teams to no less than six trophies, five with Olympiacos and one with Athletic Club.